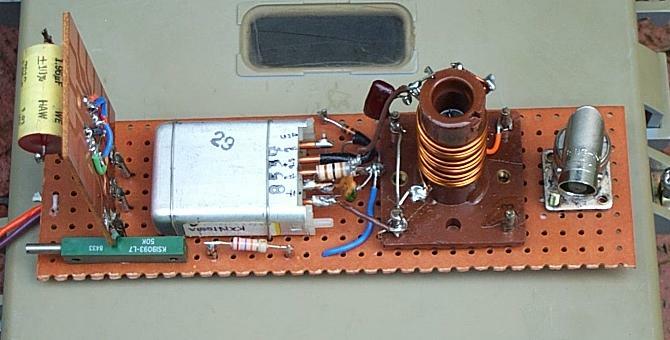 The current NC Hifer transmitter consists of a VHF Motorola Mitrek TX channel element. 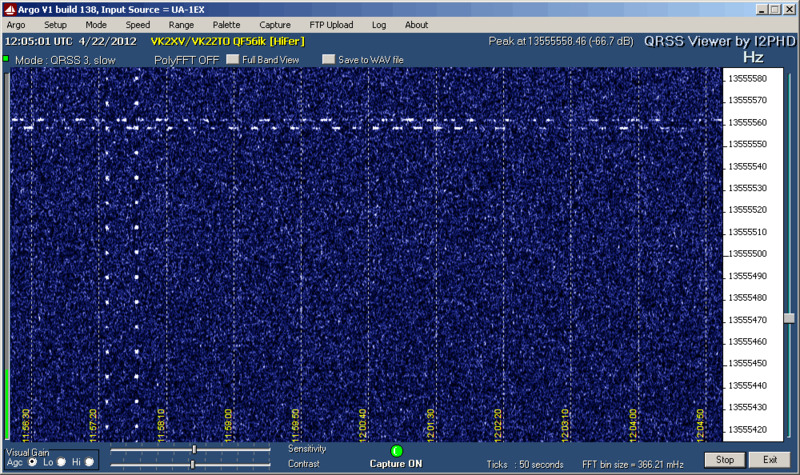 The element uses a crystal in the 12 to 14 MHz range which is multiplied by 12 for the VHF band. These channel elements are normally fairly stable with the original crystal. However if the element is recrystaled without sending it to the crystal manufacture for temperature compensation they are not likely to be frequency stable with temperature changes. So far I've seen this element drift +/- 50 Hz of the crystal frequency of 13.5555 KHz with day/night temperature changes. I'm considering plotting a freq / temp graph and call the unit a wireless thermometer. The high impedance output of the oscillator is lightly coupled to the top of a parallel LC network. 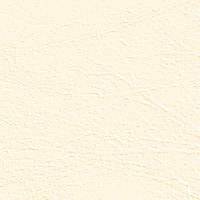 This circuit provides easy matching to the coax output and harmonic filtering. The coupling capacitor value was selected to provide 2 milliwatts of output power measured at the 50 ohm output connector. 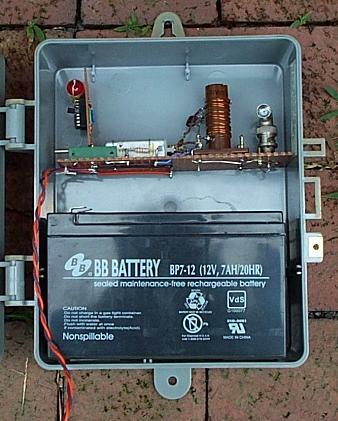 The transmitter is mounted in a recycled PVC box and is presently powered by a battery. A fully charged battery should power this circuit for about a month but a small solar panel may be added. 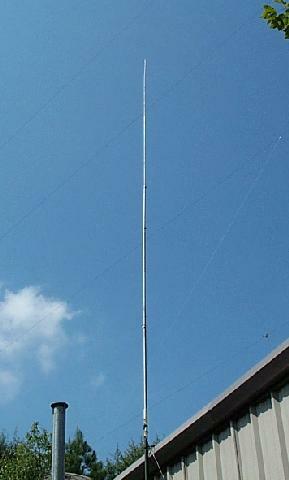 The Hifer antenna is a simple 1/4 wave vertical. The metal building serves as a ground plane.